Danny is the founder of Normandy Gym and the Inventor of Techno Box ™, Hot Boxing ™ and ultimately BoxExpress ™. He developed some of those workouts in 1984 in NYC his native home. Now he proudly introduce yet another ground breaking fitness concept. BoxExpress ™ was developed exclusively for the busy lives we lead and for those “Lone Wolves” who prefer a more personalized workout. Come see for yourselves why this is as equally exciting as our flagship Techno Box ™ classes without any schedule restraints! 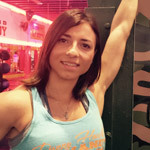 Paula is one of our four (5) premier female Group Class and Personal Training instructors! Her classes are built on absolute excitement and motivation that requires nothing but 100% out of its participants. She specializes in Ab and Core instruction and trains Personal Clients during off class times. 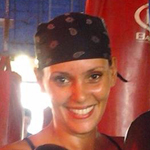 Paula is Co-owner of the Gym with her spouse Danny and directs the Trainer’s schedule and all related activities. Paula is a Columbian American and currently resides in Miami. 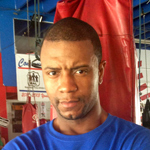 Deron is one of a few personal Protégé’s of TechnoBox and Normandy Gym founder Danny Hawk. Deron began his Fitness education here at Normandy Gym at the young age of 12 and after learning the ropes has developed into an exciting Group Class Instructor and accomplished Personal Trainer. 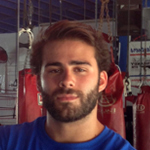 He currently teaches classes throughout South Florida and is currently a Physical Therapy major in School. Much in the same vein as Danny Hawk his classes are motivational, challenging and exciting. His personal training clients range from the average person to Pro Athletes, and Actresses. Victor is also a personal Protégé of Danny Hawk at an early age and an accomplished MMA fighter. He has earned 2 Amateur MMA Championship Belts while at work here at the Gym! He has been with Normandy Gym for 3 years and is an amazing athlete. His classes are vastly popular among the membership and is embarking on a Pro Boxing career under the tutelage of Danny Hawk. We are certain he will be a Champion in that arena as well. 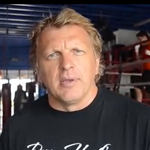 Daryl Salmon a former Pro boxer with over 15 Career Fights is teaching his amazing version of Insanity early mornings Monday – Friday and onSunday. As a Pro he has been in the Ring with some of the toughest Middleweights of recent years. 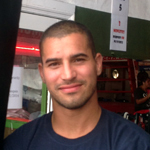 He was trained by Danny Hawk and has become a popular and accomplished Trainer here in Miami. He has developed his own identity as “Salmon’s Fitness” and is an inspiration to all members. Daryl has been with Danny and Normandy for over 8 years and is considered to be one of the founding Normandy Gym Trainer Alumni. Tomas began his career as a Group Instructor here at Normandy Gym in 2013 and has developed into an excellent Group and Personal Trainer. During his off time he is Majoring in Business Administration and continues to do great things with his clients in terms of achieving goals and motivating them to their full potential. He also assists with Sales and Marketing for the Gym and will customize a training and group class package according to your needs and budget. 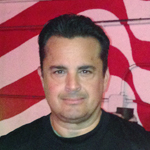 Eric is a Veteran Trainer here at Normandy and has been with the gym since early 2004. His Total Body Fitness classes offer the members an incredible and exciting hour of fitness. His specialty combines the movements of the class with pre mixed music that is sure to please. He teaches each class in a structured manner that produces results over time. 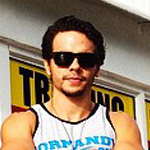 Eric is a Native of Miami Beach and is Cuban American. 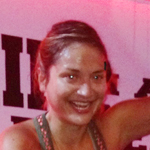 Lilly is a Certified Group Class instructor that motivates and encourages her members to be at the top of their game! She is a fitness buff who also trains Personal Clients during her off times. The 1000 Calorie Fat Burn class she developed is sure to please anyone young or old regardless of the shape they are presently in. Lilly is a Native of Israel and currently resides in Miami Beach. 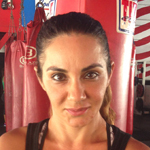 Michele is a Certified trainer who specializes in Weight loss, body toning, strength training, cardio vascular training and Boxing Technique. 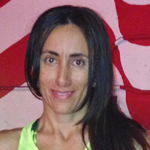 Her early morning Personal Group Fitness Boot Camp classes are among the best Miami has to offer. Michele is a conscientious trainer who displays a lot of ambition in her classes and towards her clients. If you are an early bird be sure to take her 7:00 AM. You will not be disappointed. Diana Chao a former New Yorker who teaches the PAL sponsored KIDFIT Program for Miami Beach kids ages 12-17 Monday thru Thursday. Diana’s “street smart” association with the Kids’ is simply amazing to see. She assists Coach Danny Hawk who teaches the Kids Boxing and Conditioning. 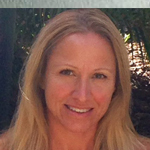 Deborah Is an accomplished Certified Boot Camp Instructor in Miami Beach and has trained hundreds of students in Miami Beach and her Native Brazil. As a result of her success and customer feedback we were happy to recruit her for our PGF Boot Camp classes here at Normandy. Deborah’s energy and motivation radiates throughout her classes as well as personally with the members. I was there tonight for the first time... I signed up right then and there... It was freaking awesome!!! The best gym in Miami Beach. Do you Want to lose weight ? You've come to the right place. Heard it is a great gym gonna train there in three weeks when I'm over. Can't wait. The best gym, and the trainers are the best. Great classes, great instructors, great personal trainers! Guaranteed results. Miami Beach Police Athletic Leage (PAL) and Normandy Gym partner up for Neighborhood Anti-Bullying Safety Zone, providing a Youth Boxing Program (2012-14). Youth Boxing Program available for kids ages 13-17. We are proud sponsors of The Andrew Ortega Foundation. The organization is committed to preventing Sudden Cardiac Arrest/Death (SCA/D) in children through awareness, education, screenings and action.